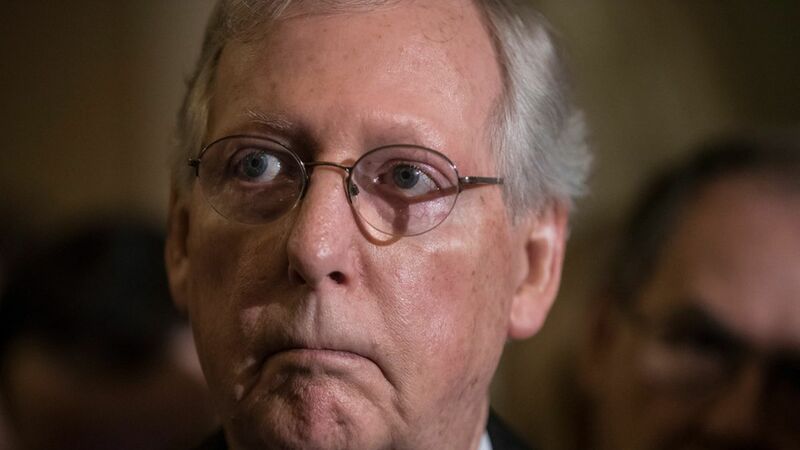 Mitch McConnell told Senate Republicans yesterday at their lunch that he planned to keep them working more Fridays and weekends, according to one source in the room and another briefed on his remarks. Why this matters: President Trump has been exasperated by the Senate's glacial progress and it's been a point of contention between him and McConnell. The Senate has a ton of work to get through, and dozens of nominations are banked up. Behind the scenes: A number of the older senators aren't keen on the idea of working weekends, but several younger senators have provided cover for McConnell. Georgia Sen. David Perdue wrote a letter and was supportive of McConnell. "In August, we sent a letter to Leader McConnell and asked him to postpone the August state work period so we could confirm more nominees and make progress on agenda items," Sen. Perdue said. "Now--with 36 legislative days left in the year--we have been raising these concerns again and urging Leader McConnell to turn the Senate on full-time so we can get all of our priorities done from the budget, funding the government, and tax this year."